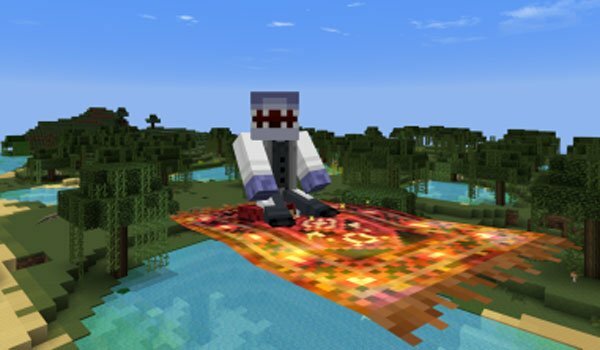 From today you can fly to the skies of Minecraft on a flying carpet. Magic Carpet 1.6.2 is a mod that lets you create flying carpets of four different colors: in red, brown, green and blue. Give to these rugs a “magic touch” using a Blaze Rod and once bound the two items in a crafting table or in the inventory, you magic flying carpet it’s done. Then just put it on the floor and unroll it. With right click on it, climb on the carpet and use the same keys you use for moving your character. How to install Magic Carpet Mod for Minecraft 1.6.2? Fly to the skies of Minecraft as a man, on a magic carpet!